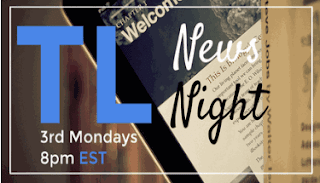 The BCTLA is the "school library association guest" on "TL News Night" on Monday, January 19 from 5-6 p.m. PST. The hashtag to ask questions, comment, etc. will be #tlchat. Please encourage any BCTLA members/subscribers who are on Twitter to help us out on #tlchat!